The likelihood of dividend payment is based on some basic factors. 1. 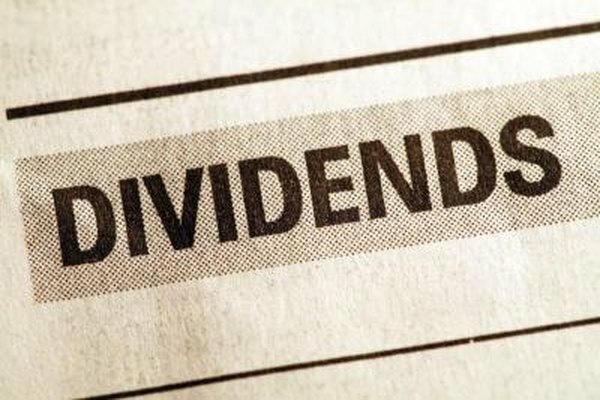 How Do Dividends Affect Stock Price? Consistently forecasting the future earnings and dividends of a company is not an exact science, and experts struggle with delivering consistent analysis of companies. However, you can still perform a simple evaluation of the likelihood that a company will be profitable or lose money, and even what the future dividend payments will be, by looking at some basic characteristics of the company and the industry. A company that has a solid history of paying dividends on its shares of stock is likely to continue paying the dividends into the future. Institutional and other investors look at these companies for their holdings because of this history and the reliability of dividends into the future. If a company with a solid history of paying dividends were to stop suddenly with its payments, the investors who are looking for this consistency could begin selling the stock, leading to significant reductions in the stock price. Companies that maintain consistent dividends to please the type of investor who purchases their stock will also attempt to maintain some consistency in terms of any dividend increase. If the company has increased its dividends by 2 percent each year, it is likely to continue to do so. Sudden changes in the patterns of dividends could significantly impact share prices. You must look at the history of increases in light of other market and company data, because temporary market conditions could change the plans of the board concerning dividends. If a company previously did not pay dividends but has suddenly started, you must evaluate the reasons the company began its payments to determine if it is likely to continue with these changes. The company may be looking to attract new investors and trying to build its history of dividends. A company with an increasing amount of cash that does not need to make larger capital investments in the short term may also increase its dividends as well. Basic market conditions for the industry which a company is in can reflect on earnings significantly. If a company is facing new competition with an innovative new product or business process, it can drive earnings down in the short term. The short-term trend for lower profits can translate into a long-term problem if the company does not respond to the changes in its market, leading to lower earnings. Increasing government regulation of an industry can also drive the profits and earnings down.